Weekly lectures take place on Monday evenings from October to March each year, covering an interesting range of historical and archaeological subjects. 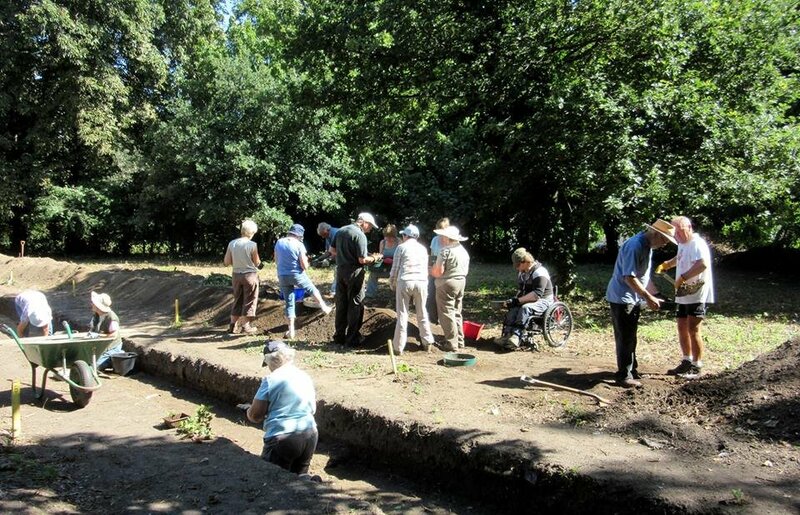 Local digs run throughout the year (weather permitting), giving all members a chance to learn and the more experienced opportunities to extend archaeological skills. Our extensive library, covering local history and archaeology, is available to all members. 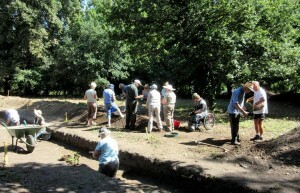 Archaeology is for everyone, and new members are always welcome. Join the group and help discover your local history. We have been working since 1955 to bring together the contribution volunteers can make to local archaeological knowledge and discovery. The Group organizes a series of archaeological digs throughout the year to help members develop and practice their skills in excavation. There is also an annual series of lectures during the winter months, study visits and other fieldwork designed to promote knowledge and interest in archaeology. A great deal of what has been learnt by the group over the years is recorded here to help you find out more about your area. Why not join us and discover more.